UPDATE MARCH 28: The tickets for the conference are now up for sale, click here to buy them or learn more. 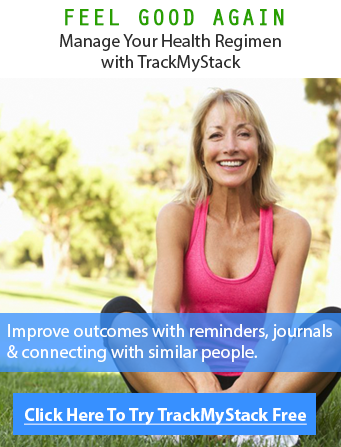 UPDATE MARCH 12: Dave Asprey recently announced that the conference will take place in October 2016, check back soon for conference information and discounts. A place to hear world class experts who share cutting edge information to help with everything from brain training, sleep hacking, and boost your overall health/performance. You will get real hands on experiences you won’t find anywhere as biohacking in general is now starting to pick up steam in the mainstream press. I attended the conference last year and it was a blast, we heard from many doctors and professors on which nootropics work best for which circumstance. The best ways to remain calm and stress free, quick tips and tricks on sleeping better and best of all we were provided with free BulletProof coffee throughout for free (and some FATwater as well). The prices are very reasonable especially given the cost of other conferences, so the 3 day all-access pass is $1,599. The VIP Conference pass is $2,499 which includes a dinner with Dave Asprey and seating in front (oh goody!). The simple 1 day conference pass (usually on the last day) is for $299, and if you are only interested in attending the tech hall — which is full of gadgets and gizmos, it is $99 which can be on any day from Friday the 23rd, Saturday the 24th or the last day on Sunday. Veterans and Students pay only $399 for the whole 3 day conference. click here for additional pricing information. UPDATE: We are able to provide a full 3 Day All Access, which was $1,599 at a earlybird price of: $799, click here for this deal. Speakers are this conference include: Dave Asprey (The Founder), Bo Eason (High Performance NFL standout), Alberto Villoldo (Spirtuality), Harry Adelson ND (Stem Cells), Amy Killen MD (Stem cells), Leanne Venier (Light), Matt Riemann (Epigenetics), Kelly Starrett (Mobility), Juliet Starrett (Mobility). Westin Pasadena (Which is the host hotel) or Hilton (Pasadena), in all honesty you may also stay a bit further away on “the strip” and with the beautiful weather in Pasadena, the walk is healthy and you may save $ on accommodation. Burbank (Bob Hope Airport) is 30 minutes and LAX is 60 minutes by car to the Convention Center. 100% refund by July 1, 2016. 50% refund by September 1. Workshop information will be getting released and put here accordingly. Being in a room with people who care as much about performance as you do opens you up to new levels of personal development and provides an opportunity that only happens when you step out of your comfort zone, for anyone interested or just curious about the world of biohacking, this is the conference to attend, click here to learn more. 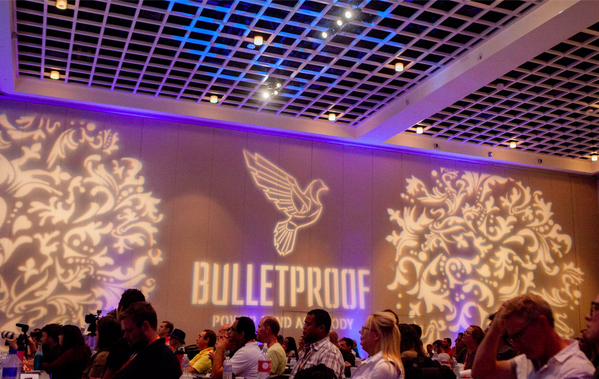 UPDATE: Learn more about the 2016 BulletProof Conference Here. Are you ready for the most highlighted event of this season? Bigger, better, upgraded. 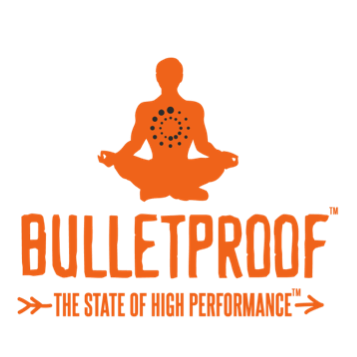 The highly-anticipated annual BulletProof Conference will be taking place in California this October, 2015. The display of enthusiasts, experts, and highly knowledgeable people will definitely make this live gathering one of the best ones yet. This will be Bulletproof’s 3rd conference, and the response thus far has been a very positive one. It will be a 3-day conference that will surely sharpen not just your understanding of Bulletproof products, but also your knowledge in different fields of science as well as your imagination, creativity, and critical thinking. It will be held in the Pasadena Convention Center, California on October 23-25, 2015. The event will feature speakers, workshops, live demonstrations, oxygen bars, inject able nutrients clinic, tons of Complimentary BulletProof coffee, and a whole lot of exciting experiences that will surely amaze your creative minds. Reserve our Biohacking tickets now and see you in this grand event. World leading experts from their respective fields will be joining us at the 3rd annual Biohacking conference. Prepare yourselves to be amazed at what they have to offer. Dave Asprey is the founder of Bulletproof as well as the man behind the birth of Bulletproof Coffee. He is also the host of the #1 ranked health show Bulletproof Radio, and is the author of the New York Times best-selling book, the Bulletproof Diet. Brendon Burchard is regarded by Larry King as “one of the top motivation and marketing trainers in the world” due to his success in the marketing field as well as the founder of the High Performance Academy. His books have been ranked #1 in various scenes and he has appeared in numerous tv shows and popular outlets such as Forbes. Robert Cooper, Ph. D has been praised as a “national treasure” by Standford Business School Professor Emeritus Michael Ray and was named as “the ultimate business guru for the new Millennium” by USA Today. Cooper is an independent scholar, neuroscientist, and a New York Times best-selling author. Daniel Vitalis is a writer, public speaker, and the host of the podcast ReWild Yourself. He is known for flouting taboo in his writings, videos, and sage discourses. John Gray is the best-selling author of the book “Men are from Mars, Women are from Venus.” His writings serve to promote a world where men and women understand, respect, appreciate and ultimately work together. Emily Fletcher is the creator of zivaMIND and the founder of Ziva Meditation. She has also been regarded as one of the leading experts in Vedic Meditation. Dan Radecki is the Chief Scientific Officer at the Academy of Brain-based Leadership. His works serves to enhance behavioral neuroscience and to create an optimal model of leadership. Phil Dixon is the CEO and Founder of the Academy of Brain-based Leadership. His work involves the application of integrative neuroscience into the field of leadership. Steven Fowkes is an organic chemist and scientific generalist. His writings involve hacking health and one of which was overcoming stage freight. Maximiliam Gotzler is the Founder and CEO of Biotraker and Flowgrade, and Biohacker. He was also a former professional athlete and his passion lies greatly in enhancing human performance. Alison Cebulla is a Certified Health Coach from the Institute for Integrative Nutrition and is presently working in New York City as a personal coach. She teaches “coffee meditation” and incorporates Bulletproof Coffee, in NYC. The 3-day conference will involve a wide array of activities ranging from drinking coffee, performing mental tasks, physical tasks, and so much more. The flow of activities will be as follows. Click here to see if there is availability. *Sunday is a workshop/tech hall day with Dave Asprey closing the conference. If you are thinking about going to the Bulletproof conference, click here to see if there are any tickets left at a early birds discount, as there are no coupons you can use while booking this.